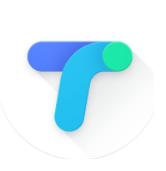 Hello Dealsnloot Readers,Google is back with a new app and this time its Google Payments App named Tez. 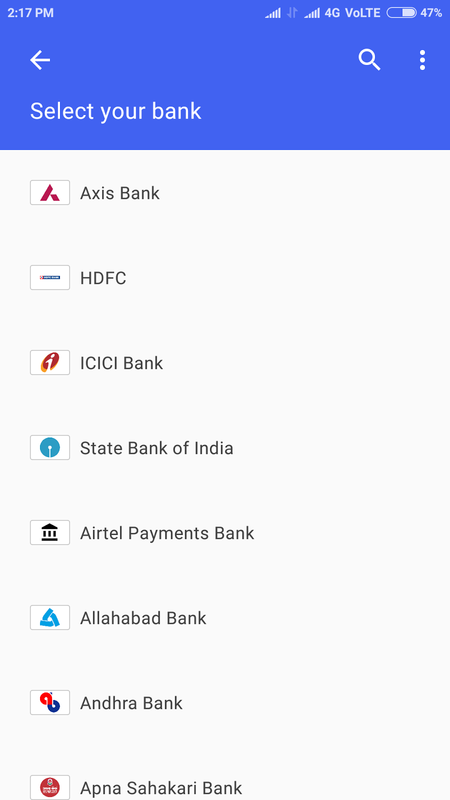 Using Tez App, you can make UPI Payments to your friends directly from your bank account. It’s totally secure payment app and since it’s by Google, you can definitely trust it. 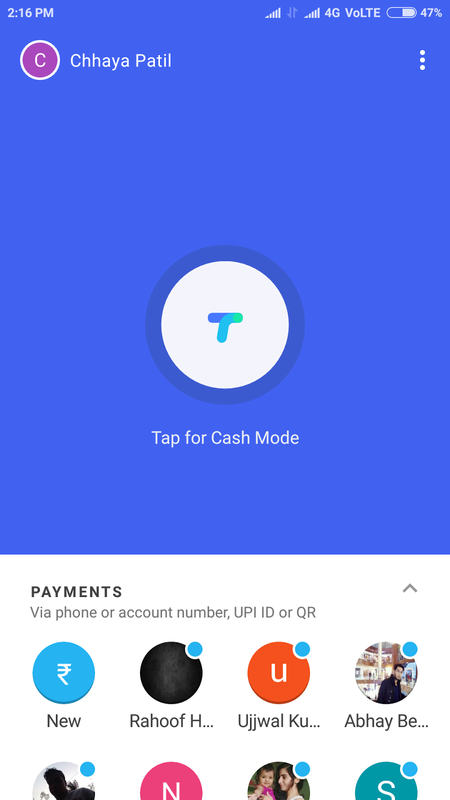 Here is a Promotional offer by Tez App where you can earn real Bank cash.Get Rs 51 Real Cash in your Bank Account instantly on Signup and Rs 51 for each successful referral done by you. 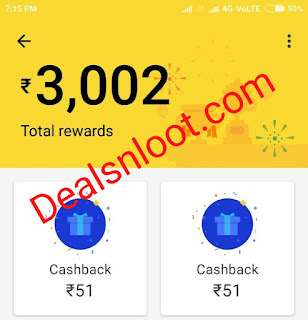 So Hurry Grab This Refer And Earn Free Cash Loot. New Update : Due To High Volume Of Traffic their System Is Not Working Properly. 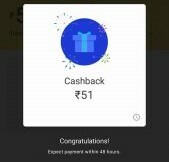 So User Who Not Get Cash Back Rewards In Morning As Well As Now, Don't Worry You Will Get Rs. 51 Directly In Your Bank Account Within 7 Days. 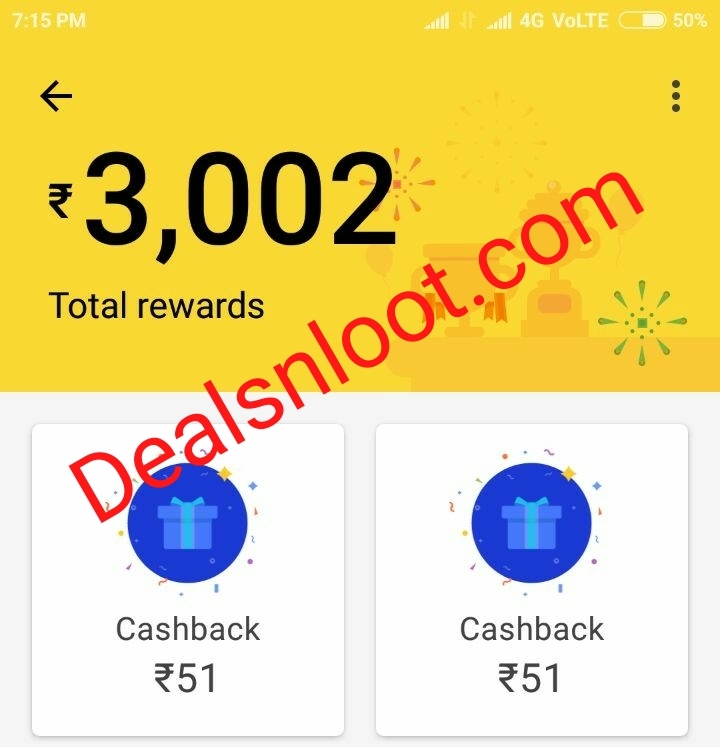 Update – Check Loot no.2 To Win Rs.1000 From Google Tez !!! 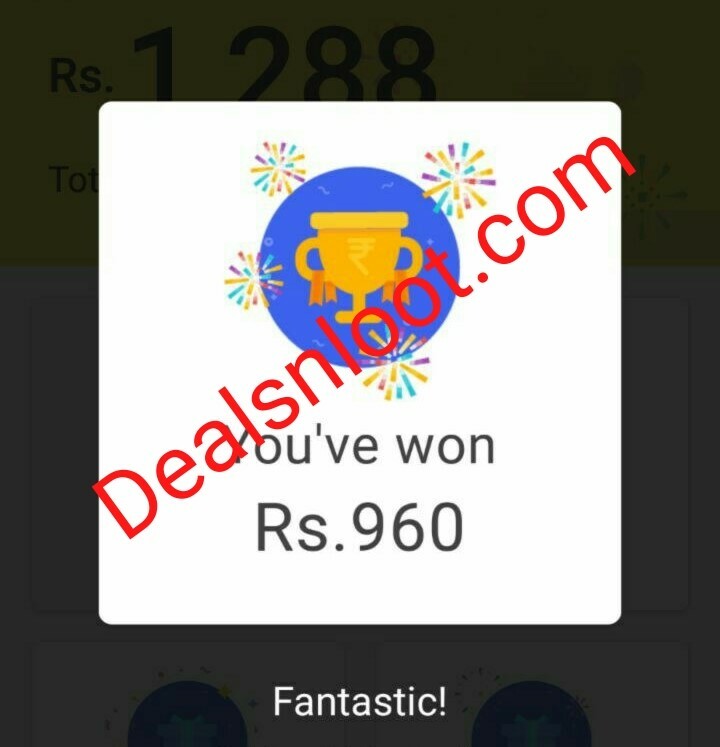 Big Proof : Here I Am Won Rs.960 From Scratch Card , You Can Win Upto Rs.1000. 1. Visit PVR Cinemas Web or Open PVR Cinemas App. 2. Go for Book a Movie Ticket of ₹ 300 or Above. 3. At the Transaction Page Select Tez. 4. Enter Your Tez UPI id & Complete your Payment. 5. After Complete Payment Surely You Will Get a Scratch Card in which You will Get Between ₹ 75 to ₹ 200. 1. You must successfully make a transaction using the Tez app worth at least Indian Rupees Three Hundred (INR 300) on PVR. 2. You can earn a maximum of 1 reward for this offer. Each reward will be of a value between ₹ 75 to ₹ 200. 3. If you win a prize, your prize money will be deposited into your bank account. 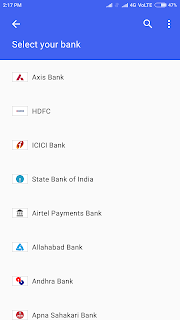 As such, you must have a UPI-enabled savings account attached to your Tez account to receive payment from Google. Please be sure to link your UPI enabled savings account to your Tez account within 45 days of claiming the reward, failing which you may forfeit the reward. 4. Employees, interns, contractors, and office-holders, as well as their immediate families (parents, siblings, children, spouses, and life partners of each, regardless of where they live), of Google Inc, its affiliates and subsidiaries, and any representatives or agencies of Google or other persons professionally connected with the offer are not eligible to participate. 5. This offer is valid from October 13, 2017 (9:00 A.M.) till November 12, 2017 (11:59:59 P.M.).